by Lt. Col Allen West, Former US Representative (R-FL): Americans are single-mindedly focused on one particular Obama lie: “If you like your healthcare plan you can keep it period.” This purposeful, blatant deceit of the American people, on top of past lies (such as a crude video being the impetus for the spontaneous demonstration resulting in the deaths of four Americans in Benghazi, Libya) has eroded any trust, confidence, and credibility for Barack Obama. Tags: Allen West, Barack Obama, Benghazi, Col Allen West, Geneva, Iran, Israel, Jewish, Jews, John Kerry, United Nations, United States To share or post to your site, click on "Post Link". Please mention / link to the ARRA News Service. Thanks! “Hi, I'm Senator Ron Johnson from the great State of Wisconsin. “President Obama said he wants to fundamentally transform America. So far, his attempt to transform our health care system has not been pretty – with Obamacare, he did far more than just fumble the ball. “Contrary to his repeated promise, that ‘if you like your health care plan, you can keep it,’ millions of Americans are not only losing their insurance coverage, they are losing access to the doctors and treatments that have kept them alive. “President Obama's so-called apology, was as phony as his fraudulent marketing of Obamacare. He seemed to be saying he was sorry Americans actually believed him, but took no responsibility for their plight. It was like telling someone you're sorry their dog died, but refusing to acknowledge you ran over the dog. “Sorry Mr. President, it didn't work. 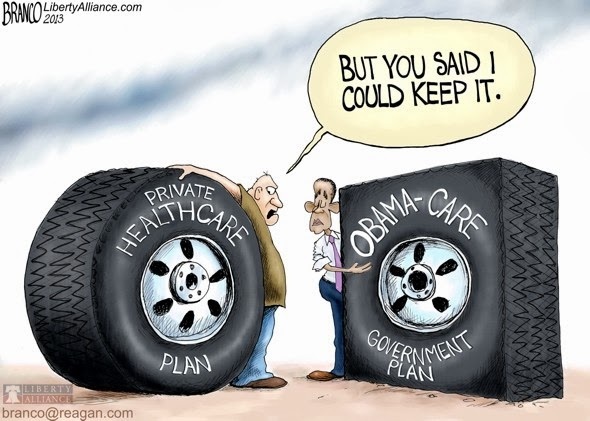 Millions of Americans are coming to realize that those are your tire tracks on their cancelled policies. It is also obvious that you didn't inadvertently misspeak when you promised Americans they can keep their doctors and health plans - and do it all at a lower cost. “Those assurances weren't slight exaggerations or innocent shadings of the truth. They were statements that were fully vetted, coldly calculated, and carefully crafted to deceptively sell your health care plan to a trusting public. It was a political fraud echoed relentlessly by House and Senate Democrats who should be held accountable for the disastrous consequences of their grand deception. “Consumer fraud this massive in the private sector could – and should – bear serious legal ramifications. For President Obama, however, it helped secure enough votes to pass Obamacare, and win reelection. “Now America must face the truth, and Congress must work to limit the damage that Obamacare will inflict on our health care system and people's lives. The systemic failure of the healthcare.gov website and cancelled policies are only the tip of this destructive iceberg. “Because if you think only those that buy individual policies will lose their coverage, think again. Obamacare creates huge incentives for businesses to stop providing health care as a benefit. As a result, millions more will lose their tax-exempt employer-sponsored health plan and be forced to try buying insurance with after-tax dollars on the exchanges. “Hopefully, Americans who were deceived will question the credibility of those who made so many false promises. Does anyone actually believe Obamacare is bending the cost curve down, that working Americans won't be forced to pick up the tab, that the quality of care won't suffer, rationing won't occur, or that much needed medical innovation won't be diminished? “Does anyone really believe their personal information in the hands of federal bureaucrats will remain private and won't be abused, or that Obamacare will actually reduce federal debt and deficits? “I’m asking every American to believe what their eyes and ears are telling them. The federal government is dysfunctional. It is broken, ineffective, and inefficient. Do you really want Washington taking over a greater share of our health care system – getting more involved in your health care decisions? Americans are finding out that is a prescription for disaster. “Obamacare will not fix an imperfect health care system. It will cause more damage for far more people than any problems it will ever solve. Now is the time to start reversing that damage – before it’s too late. “A good place to start would be supporting the bill I introduced in the Senate called ‘If you like your health plan, you can keep it Act,’ or a similar measure just passed in the House. Unfortunately, the implementation of Obamacare has progressed to a point where millions of cancelled plans cannot be reinstated. But the freedom of millions of Americans to keep doctors, treatments, and health plans they do value can still be preserved if Congress acts swiftly and decisively. “I also plan to introduce a new bill titled ‘Preserve Freedom and Choice in Health Care,’ which will attempt to protect liberty and the rights of individuals to make their own health care decisions. We need long-term solutions to the Obamacare debacle, not short-term political fixes like those recently proposed by the President and Senate Democrats that simply will not work. “Throughout the health care debate, Republicans have proposed dozens of solutions designed to help control costs and improve quality – without surrendering control of your personal health care decisions to nameless bureaucrats in Washington. Now is the time to enact those common sense ideas. “But none of this will occur unless the American people hold those who supported Obamacare accountable – and do so with a very loud voice. Democrat Senators must help Republicans pass legislation to limit the damage of Obamacare. If not, those who choose to ignore the plight of millions of Americans should be replaced next November by those who will act. Tags: U.S. Senator, Ron Johnson, Weekly Republican Address, President Obama, fundamentally transform America, Obamacare, bill, Preserve Freedom and Choice in Health Care To share or post to your site, click on "Post Link". Please mention / link to the ARRA News Service. Thanks! Alan Caruba, Contributing Author: The polls and the pundits tell us that the people of the United States of America are deeply divided politically and they’re right. A bit of history helps to understand this. The former colonies that later became the states when they accepted a federal form of government were always divided, along with their citizens, a goodly portion of whom did not want to declare independence and go to war with Great Britain. After it became clear that the Articles of Confederation were useless, a group of wealthy elites got together in Philadelphia and, in the greatest secrecy, scrapped the Articles and wrote our revered Constitution. Fortunately, this group—now called the “framers” or “founders” — were highly educated for their time, most were successful businessmen and/or farmers. However, to call George Washington, who presided at the meeting, a farmer was an understatement. Washington owned thousands of acres and had many enterprises related to the crops he grew with the assistance of several hundred slaves. Washington was one of the wealthiest men in the nation. He and others may not have liked slavery, but there were no tractors, harvesters, or other farm equipment of later eras. Plows were still pulled by oxen or horses. If you wanted to get anywhere, you either went on foot, by horse, in a carriage, or by boat. Washington, having led the armies of the aspiring American nation to victory over eight years, was a universally revered commander who had ultimately demanded and got complete control over the military from a generally useless continental congress that notoriously failed to pay the army. 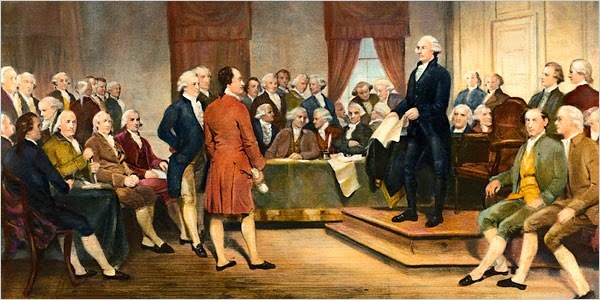 When the Constitution has been ratified by enough states to become the new government of the new nation, there was never any question in anyone’s mind as to who should be its first President. As Harlow Giles Unger, the author of a new, excellent book, “Mr. President”: George Washington and the Making of the Nation’s Highest Office”, makes clear “…in one of the defining events in the creation of the U.S. presidency, Washington startled his countrymen by ignoring the constitution limits on presidential powers and ordering troops to crush tax protests by American citizens—much as the British government had tried, and failed, to do in the years leading up to the American Revolution.” History and life is filled with ironies. I share this with you because it is useful to know that even Washington was called a 'usurper' of power in his day when there was still a lot of fear that an American monarchy would be imposed. Despite the high regard with which Washington was held, it took the power of his personality, his high level of leadership, and his personal integrity to create the presidency that we still have to this day. After five years of Obama as President, we have seen that equilibrium swing back and forth and, indeed, this has been the history of the three branches of our government. It is now swinging away from Obama as his former support wanes and the impact of the aptly named Tea Party movement increases. The U.S. is only a year away for his powers to be blunted by a Congress that is likely to swing in the direction of conservative, Republican leadership. As stressful as the process is for everyone, this is the way the nation was intended to be governed and the enmities that are inherent in that process are the price we pay in a nation whose population is sharply divided between those who have little knowledge of our history or of the manner in which we have emerged from many crises in the past and grown stronger. This is not a time for despair. It is a time to harness the power of the people who hold the Constitution in high regard and to vote for those who share that regard. Alan Caruba is a writer by profession; has authored several books, and writes a daily column, "Warning Signs"disseminated on many Internet news and opinion websites and blogs. He is a contributing author at ARRA News Service. Tags: United States, divided nation, history, George Washington, John Adams, founding fathers, Alan Caruba, warning signs To share or post to your site, click on "Post Link". Please mention / link to the ARRA News Service. Thanks! Washington, D.C. – The Republican Study Committee today pressed the Obama Administration to increase sanctions on Iran. “A nuclear armed Iran is not only dangerous to America’s national security, but it would also pose a serious threat to the future of our strong ally Israel,” RSC Chairman Steve Scalise said. “Time and time again, Iran has proven it cannot be trusted, yet the Obama Administration stands poised to roll back existing sanctions that by all reports are working. That’s not only naive and dangerous, it also seriously jeopardizes the US-Israel relationship. In order to continue holding Iran accountable, it’s vital that we take steps to impose tougher sanctions on Iran until they verifiably dismantle their nuclear enrichment facilities. The House passed H.R. 850, a bill to increase sanctions on Iran, at the end of July by an overwhelming vote of 400 – 20. Tags: RSC, Republican Study Committee, US House, Obama administration, Iran, sanctions To share or post to your site, click on "Post Link". Please mention / link to the ARRA News Service. Thanks! Do You Believe Obama This Time? How About Now? …Now? Amy Payne, Heritage Foundation: Once upon a time, Obamacare was “settled” law that was “here to stay.” Or so President Obama said—before Obamacare failed to survive contact with reality. The reality is that the Administration is delaying the impact of major parts of the law, including the employer mandate and now the benefit mandates for health plans. There’s a slight problem: As the President so readily reminded us, Obamacare is still the law of the land. Without undoing the law, everything that has people up in arms—the higher costs, mandates, plan cancellations—will still happen. The “fix” is another Obama attempt to go outside the law and around Congress. But even the President can’t just un-cancel people’s insurance plans. Hurting consumers. 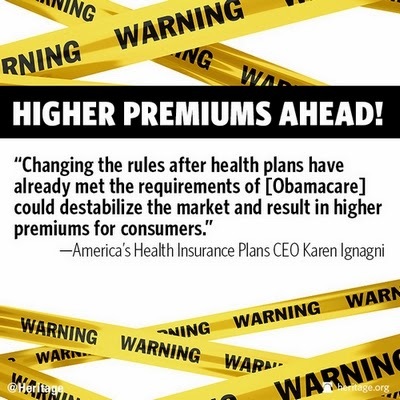 “Changing the rules after health plans have already met the requirements of [Obamacare] could destabilize the market and result in higher premiums for consumers,” said Karen Ignagni, CEO of insurance trade association America’s Health Insurance Plans. Heritage’s Jacobs points out that President Obama’s extra-legal “fix” could even result in the Administration offering insurers a bailout if they bring back canceled plans. It’s just one debacle after another. People don’t trust President Obama on this anymore. And they shouldn’t. Because Obamacare is doing exactly what it was intended to do—and no amount of delays can change that. That’s why we need a different direction for health reform that people can trust. Tags: Obamacarer, Affordable Care Act, cancellations, consumers, employer mandate, health insurance, health reform, insurance companies, mandates, premiums, President Obama To share or post to your site, click on "Post Link". Please mention / link to the ARRA News Service. Thanks! Obamacare Remains Above The Proverbial Fold In D.C. The House reconvened today at 9 AM. and immediately focused on the Keep Your Health Plan Act, H.R. 3350 — "To authorize health insurance issuers to continue to offer for sale current individual health insurance coverage in satisfaction of the minimum essential health insurance coverage requirement, and for other purposes." By 1:36 PM, the bill had passed 261 - 157. The breakdown in votes: 226 Republicans and 39 Democrats voted for the bill and 153 Democrats and 4 Republicans voted against the bill. Eight democrats and two republicans did not vote. While 39 Democrats stood with the Republicans, again the majority of democrats showed their opposition to helping people "keep their healthcare policy if they like it." With duplicitous actions by the Democrats with President Obama saying one thing yesterday but also threatening to veto the "Save Your Health Care Act" if it was passed has sent a clear signal to Democrats to keep in lock-step opposing all efforts to help individual Americans from losing their healthcare. We can expect Senator Harry Reid to block the bill in the Senate or if were to allow the bill to be voted on then Senate progressive democrats would act to defeat the bill rather than helping to relieve the catastrophic pain inflected on their constituents and all other Americans over healthcare. Their agenda is clear. If pain leads to a single payer system with absolute government control of healthcare in America, the democrats are all for it. Yesterday the House passed H.R. 2655 (228-195) — "To amend Rule 11 of the Federal Rules of Civil Procedure to improve attorney accountability, and for other purposes." The Senate is not in session today and will reconvene on Monday at 2 PM. At 5 PM Monday, the Senate will begin a very short debate on the nomination of Robert Wilkins to the DC Circuit Court of Appeals. Wilkins is the third in a series of left-wing nominees to that court whom Democrats are pushing in an explicit attempt to both distract from Obamacare and “switch the majority” of the court so it can rubberstamp the president’s executive branch excesses. Senate Republicans have blocked the last two nominees Democrats tried to push through, Patricia Millett and Cornelia Pillard. At 5:30 Monday, there will be a cloture vote (i.e. to cut off debate and advance the nomination) on the Wilkins nomination. If cloture is not invoked on the nomination, the Senate will then vote on cloture on H.R. 3204, the FDA pharmaceutical drug compounding bill. If cloture is invoked, the Senate will then vote on final passage of H.R. 3204. Finally, there will be a vote on cloture on the motion to proceed (i.e. whether to take up) S. 1197, the Defense Authorization bill. Despite President Obama’s lengthy excuse-ridden press conference yesterday to try to announce a “fix” to an Obamacare provision that violates a promise he made repeatedly that “If you have health insurance and you like it, and you have a doctor that you like, then you can keep it. Period,” editorial pages were decidedly unimpressed. Tags: Obamacare To share or post to your site, click on "Post Link". Please mention / link to the ARRA News Service. Thanks! The below geopolitical analysis is very interesting and offers insight into the Saudis concern over Iran. The Saudis have therefore opted to prepare by expanding their influence over Egypt and have funded arms for Egypt. They have also are funding increased foreign mercenaries to support their efforts. Quoting the author, "Saudi Arabia does not want two hundred and fifty thousand foreign mercenaries even if they are Moslem mercenaries inside of the Kingdom. The Saudis need to base them where there are facilities and control over them. The only place that fills the qualifications is Egypt; and what is a more “innovative, unconventional solutions” to Egypt's economic strife?" by Felix Imonti: General El-Sisi may have found the solution to Egypt's economic woes. It is called war. One of General El-Sisi's many admirers might go so far as to say that he had been chosen by a Divine Hand to save Egypt. The general had been based at the Egyptian Embassy in Saudi Arabia and knew many of the leaders of the Kingdom who could provide the desperately needed funds that would make a coup possible. On the other hand, the Saudis had found the one man who could break the Muslim Brotherhood after which they would be free to focus on the destruction of their other enemy, Iran and the Shia. Beyond the economic arena, they have battled each other through proxies in Lebanon, Yemen, Iraq, and currently in Syria. In spite of all of those efforts, the Saudis are still confronting their traditional foe and seeing Iran a more dangerous rival than ever before with the Shia control of Iraq and through the growth of the Iranian Revolutionary Guard's asymmetric warfare skills, and penetration by Al-Qud of the Shia communities throughout the Middle East. The Saudis would not interfere with Russian gas sales to Europe and would guarantee Russia's presence in the Port of Tardus in Syria. How the Saudis could keep their promises was a question that President Putin must have been asking and not liking the answer. The stick in the prince's bag was to unleash Chechen Terrorist that he claimed to control to disrupt the Winter Olympics in Sochi. The Saudis threatened to escalate the conflict to the point that it would be too costly at home for Russia to bear, but the Russians were already bearing it. The Shia-Sunni conflict in the form of bombings and assassinations has come to the Dagestan and Chechnya regions several years ago. All of this was announced more than two months before the United States agreed with Russia to a program of destroying Al-Assad's chemical weapons and before Presidents Obama and Rouhani were chatting on the telephone. Deputy Defense Minister Prince Salman bin Sultan bin Abdulaziz was selected to organize the national army. His plan is to build a force of forty to fifty thousand troops and is prepared to spend several billion dollars on the project. If Al-Assad is the target of the Army of Mohammed, the Saudis are calculating that it will take two more years and an army double that of Syria's to defeat the regime. If there is another enemy on the agenda, then we have to ask on which country are the bunker busting bombs that are included in a eleven billion dollar order placed recently with the United States to be dropped; and at what targets are the CCS-2 missiles with their nuclear warheads that the BBC says that Pakistan has supplied been aimed. Then, there are those quarter of a million troops in the Army of Muhammad to be sent somewhere. Saudi Arabia needs a replacement for the Pakistanis; and Egypt is the only choice. Large cash grants to Pakistan over many years have cemented those bonds of mutual dependents. Saudi Arabia has been generous as well with Egypt through the decades of Mubarak's rule and with El-Sisi without receiving much in return. Now, both are in need and Egypt has debts to repay; and those debts are increasing by the billions. Saudi Arabia has risen to the forefront in Egypt's dealings with other nations and recognition of their dependence upon Saudi largess was reflected by the interim president of Egypt, Adly Mansour making his first state visit to Saudi Arabia . King Abdullah made it clear where the kingdom stands if Egypt is threatened. “Standing against any attempts to touch Egypt's internal affairs, particularly by the terrorists.” “Terrorist” is the term used to describe the Muslim Brotherhood. This warning came in the face of a ten percent inflation rate and a thirteen percent budget deficit. Heavy borrowing just to maintain spending without investing in the economy has pushed the national debt to eighty-nine percent of the GDP with an economic growth rate of a mere two percent. At least six percent is needed to absorb the increase in the labor force . Saudi Arabia does not want two hundred and fifty thousand foreign mercenaries even if they are Moslem mercenaries inside of the Kingdom. The Saudis need to base them where there are facilities and control over them. The only place that fills the qualifications is Egypt; and what is a more “innovative, unconventional solutions” to Egypt's economic strife? © 2013 OilPrice.com. This article by Felix Imonti was contributed to the ARRA News Service by James Stafford, the Editor of OilPrice.com - the leading online energy news site, Its news and analysis covers all energy sectors from crude oil and natural gas to solar energy and hydro. Tags: Saudi Arabia, Saudis, Eqypt, Iran, Middle East, stress, conflict, analysis, OilPrice To share or post to your site, click on "Post Link". Please mention / link to the ARRA News Service. Thanks! Alan Caruba, Contributing Author: When you consider that a bunch of global warming propagandists, the 19th Conference of the UN Framework Convention on Climate Change, to reduce “greenhouse gas” emissions has been meeting in Warsaw this month are still claiming that we are in the midst of global warming, you have a demonstration of how great a hoax has been perpetrating on the peoples of the world. These people and the scientists who supplied the falsified and inaccurate climate models to support the global warming claims have committed a criminal fraud. Bit by bit, the truth in the form of increasingly cold weather is causing people to wonder whether they are being duped. The media has either buried the stories of extraordinary cold events or continues to tip-toe around the truth. Plainly said, you cannot trust what government scientists have to say about global warming. The government’s policy since the late 1980s has been that global warming is real and poses a great threat to the Earth. What Dr. Hathaway and other “warmists” are desperately trying to ignore is the fact that the Earth entered a natural and predictable cooling cycle around 1997 or 1998. It has been cooling ever since! In 1997, Robert W. Felix authored the definitive book on the coming ice age in his book, “Not by Fire, but by Ice.” It is still widely available. His website, IceAgeNow.info provides updated information on the many weather events around the world that demonstrate an ice age—whether it is a mini-ice age or a full-scale one—is occurring. Felix says that a major Ice Age, when it begins, will come on very swiftly. One post on Felix’s website is about Victor Emanuel Velasco Herrera, a geophysicist at the University of Mexico, who predicts that the “Earth will enter a ‘Little Ice Age’ which will last from 60 to 80 years and may be caused by the decrease in solar activity.” You don’t have to be a geophysicist to figure out that less solar activity adds up to a colder Earth. 2014 is the year many scientists believe an ice age, “mini” or full-scale will begin. Herrera hedged his prediction saying that “with the mass production of current carbon dioxide (CO2) it is unlikely that we will see a major ice age like the one experienced 12,000 years ago.” Carbon Dioxide plays no role in warming the Earth. It is a very minor element of the Earth’s atmosphere. The implications of an ice age, no matter how long or short, is its impact on the growing of crops to feed everyone. Dr. Tim Patterson of Canada’s Carleton University’s Department of Earth Sciences, in a May 18, 2007 article in the Calgary Times, wrote that satellite data “shows that by the year 2020 the next solar cycle is going to be solar cycle 25 — the weakest one since the Little Ice Age (that started in the 13th century and ended around 1860)…should be a great strategic concern in Canada because nobody is farming north of us. In other words, Canada — the great breadbasket of the world — might not be able to grow grains in much of the prairies.” This prediction applies as well, of course, to the U.S. production of grains. Other scientists have been sounding the alarm, predicting dramatic cooling to begin in the current decade. Dr. Oleg Sorokhtin, a Fellow of the Russian Academy of Natural Sciences, has noted that “Earth has passed the peak of its warmer period and a fairly cold spell will set in quite soon, by 2012, real cold will come when solar activity reaches its minimum, by 2041, and will last for 50-60 years or even longer.” While the years cited by scientists may differ, they are in agreement that we are looking at decades of cold. In the years since the late 1980s when “global warming” was unleashed on the world as the greatest hoax of the modern era, billions have come to believe the Earth was threatened by greater warming cause by man-made “greenhouse gases” resulting from industrial and all other uses of fuels such as coal, oil and natural gas. While carbon dioxide has, indeed, increased in the atmosphere, the truth is that the Earth has entered a cooling cycle and that it is on the cusp of very cold weather for decades. We could even cross over into a full-fledged Ice Age because one is overdue at this point in time. You cannot depend on what the mass media tells you. They are hardwired to continue the global warming hoax. You can, however, educate yourself with books such as Robert Felix’s. You can use Google to find out more about ice ages. You can and should prepare yourself for changes in the Earth’s climate that will have vast impacts on the global economy and on the ability to grow enough crops to feed the world’s population. Tags: Robert Felix, Not just Winter, New Ice Age, global cooling, Alan Caruba, Warning Signs To share or post to your site, click on "Post Link". Please mention / link to the ARRA News Service. Thanks! Gretchen Hamel, Public Notice: Every family has one. That irresponsible relative, who just can’t seem to get anything right. Yeah, Washington is exactly like that relative. That’s what you’ll see in our new web series, “Federal Matters,” which follows a family and their irresponsible relative, Uncle Beltway, who, like Washington, is put in charge of certain things that he’s ill-equipped to handle. 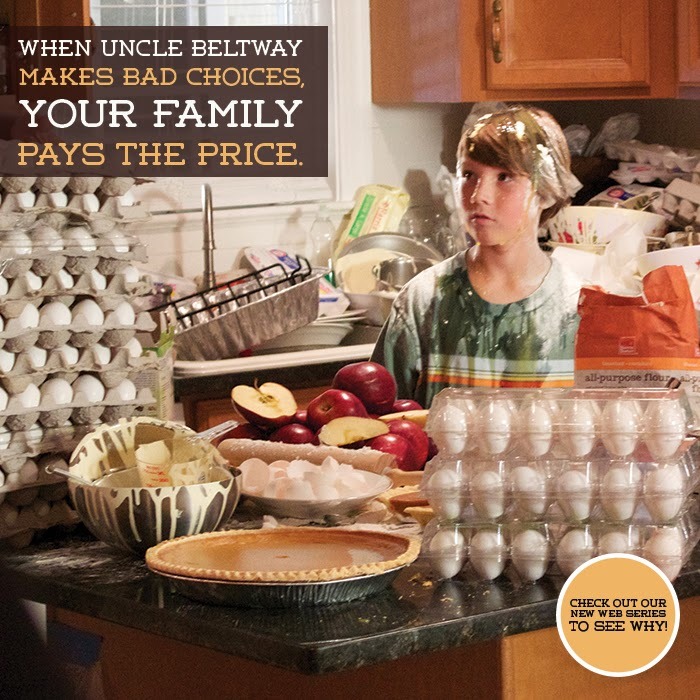 In the pilot episode, Uncle Beltway lives up to his name as he turns a simple babysitting job into a costly problem for the rest of the family. Watch the video and find out what happens when wasteful spending leaves common sense behind! Tags: Uncle Beltway, Government Spending, Bankrupting America, Sitcom To share or post to your site, click on "Post Link". Please mention / link to the ARRA News Service. Thanks! Ken Blackwell and Bob Morrison, Contributing Authors: Christians are certainly familiar with Jesus’ words to the woman at the well. “Salvation is from the Jews,” he tells her in John 4:22. And, this has always stood as a stumbling block to anti-Semitism in the Church. It is hard to imagine how one can be a true Christian and be an anti-Semite, too. But this wonderful phrase is also true in a worldly sense — and especially so in the nuclear age. In August 1939, Albert Einstein’s letter warning President Roosevelt of Nazi capabilities in atomic weapons research was hand-carried to the White House. Having fled Hitler Germany for Princeton, Einstein was the world’s most celebrated scientist and a leading member of the Jewish community. Calmly, FDR turned to his military aide, Gen. Edwin (“Pa”) Watson and said: “Pa, this requires action.” With those four words, Roosevelt commenced the greatest crash weapons program in history. Knowing that the U.S. was leading in this vital research area gave confidence to our diplomacy and our successful waging of the Second World War. Admiral Hyman Rickover graduated from the Naval Academy and faced anti-Semitism throughout his career. Still, he pressed on to create the nuclear Navy. By his bulldog determination, Rickover gave America the means to withstand a Soviet nuclear first strike and still wipe out that evil empire. Knowing that Rickover’s submarine-launched ballistic missiles (SLBMs) could deliver a knockout blow — even if the continental U.S. had been destroyed--provided the balance in what Churchill called the balance of terror. Now, the world is distracted and distressed. Financial meltdowns, ethnic conflicts, and a toxic popular culture combine to unfocus our gaze. Iran is proceeding — boldly, defiantly — toward nuclear weapons. The Obama administration clearly has no idea how to prevent this. 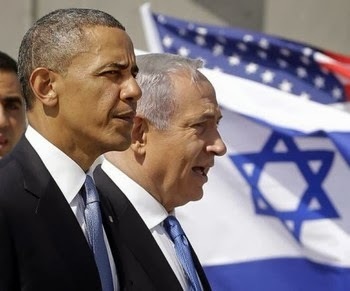 Mr. Obama assures Israelis if they like their country they can keep it. But his word is not to be relied upon. Can it be that salvation — at least in this temporal sense — is once more to come from the Jews? 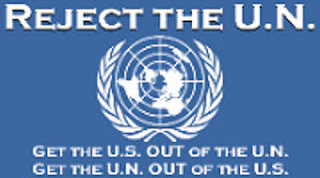 Nothing can be clearer than that if the world must rely on Barack Obama to stop the Iranians, they will not be stopped. Only Prime Minister Benjamin Netanyahu has shown the courage, the careful focus, the intelligent analysis required to see the situation clearly. We are forever being told that the Israelis depend on us. In truth, it is the other way around. We must now depend on them. If the Israelis do not act, then Iran will get the bomb. The people who adopted suicide bombing from the Japanese Kamikaze pilots of World War II cannot be deterred by threats to retaliate against them. They, too, are a suicide cult. They, too, can be stopped only by force. Israel must decide the time and the means. That's why there is a Jewish State. It is also worth noting that Laurent Fabius, the Foreign Minister of France, has called the fruitless negotiations in Geneva “a sucker’s deal.” We have good indication that if this French socialist had not objected, Sec. John Kerry might even now have been trumpeting his bad deal, his very bad deal. After all, why should he be the only Democratic nominee of late to be denied his Nobel Peace Prize? This is not the first time John Kerry has been bested by a French socialist. In the 1980s, young Kerry was all-out for the Nuclear Freeze. But France’s socialist President Francois Mitterrand saw through this KGB ruse and lined up with the steadfast President Ronald Reagan, Prime Minister Margaret Thatcher and Chancellor Helmut Kohl. Had the world followed John Kerry’s lead then, we might still have a Berlin Wall, an East & West Germany, a splintered NATO, and a Russian power rising up in the Kremlin. Only the revived Russian power has come about. But it is still early in this debacle of a second term. For these reasons, we need to look to Jerusalem for our security. Once again, the peace of Jerusalem is linked to the fate of the world. This time, let us pray the leaders of the Jewish state do their duty without fear, without interference, and without deference to a muddled leadership in the White House. Ken Blackwell was a former U.S. Ambassador to the United Nations Human Rights Commission and is a senior fellow at the Family Research Council and a visiting professor at Liberty University School of Law. Bob Morrison is a Senior Fellow for Policy Studies at the Family Research Council. He has served at the U.S. Department of Education with Gary Bauer under then-Secretary William Bennett. Both are contributing authors to the ARRA News Service. Tags: Ken Blackwell, Bob Morrison, salvation, Jews, Albert Einstein, Admiral Hyman Rickover, Israel, Iran, nuclear weapons, history, the future To share or post to your site, click on "Post Link". Please mention / link to the ARRA News Service. Thanks! Tags: excuses, democrats, quotes, editorial cartoon William Warren To share or post to your site, click on "Post Link". Please mention / link to the ARRA News Service. Thanks! American Crossroads: Obama lied, your health care died. Tags: American Crossroads, Barack Obama, lied, health care, died To share or post to your site, click on "Post Link". Please mention / link to the ARRA News Service. Thanks! Garth Kant at World News Daily responded to these statements, "But there’s a catch the president did not address: Insurance companies would have to be willing to offer those plans again. And there’s no guarantee the prices would remain the same." Kant also noted, "Obama is now ordering insurance companies to inform customers about what provisions will be required once this year-long grace period has expired. The Department of Health and Human Services will notify insurance companies and state insurance commissioners they have permission to let people who have those “substandard” policies keep them through 2014. And, the administration will not enforce the penalty on individuals for not having eligible health-insurance plans." If is clear that President Obama is seeking buy time until after the election to provide endangered Democrats in the 2014 election. The assessment penalties will not go accessed until eight weeks after the 2014 elections. And surprise at the heart retroactive heart aches. Regarding the President’s belated response to the millions who’ve lost their health plans as a result of Obamacare, Senate GOP Leader Mitch McConnell (R-KY) issued the following statement: "President Obama’s announcement doesn't even come close to fixing the problems that so many Americans are facing right now as a result of cancelled health care plans and skyrocketing premiums. But, it does represent the clearest acknowledgment yet that his oft-repeated pledge ‘if you like your plan, you can keep it’ was false all along. What makes this admission even worse is the fact that it was prompted not by the heartbreaking stories of millions of Americans, but by the private pleadings of a handful of endangered Democrats. 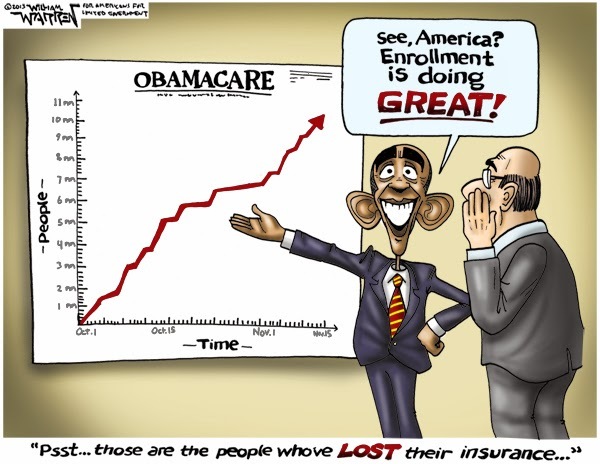 Americans are becoming increasingly aware of the fact Obamacare is broken beyond repair. The only ‘fix’ is full repeal followed by step-by-step, patient-centered reforms that drive down costs and that Americans actually want." Noting that "Americans Need Real, Not Political Solution to Obamacare," House Speaker John Boehner (R-OH) issued the following statement to the president announced “administrative” changes to Obamacare: "After finally acknowledging he repeatedly misled the American people to sell his health care law, the president is asking Americans to trust him again. The President has absolutely no credibility on his promise. True to form, it appears this is little more than a political response designed to shift blame rather than solve the problem. This problem cannot be papered over by another ream of Washington regulations. Americans losing their coverage because of the president’s health care law need clear, unambiguous legislation that guarantees the plan they have and like will still be allowed. That’s why the House will be voting on the Keep Your Health Plan Act tomorrow, and the president should support it." The Senate reconvened at 9:30 AM today. Following 2 hours of morning business, the Senate resumed post-cloture consideration of the motion to proceed to H.R. 3204, a bill expanding FDA oversight of compounding pharmacies. The Senate then agreed to the motion to proceed to H.R. 3204 by voice vote and began consideration of the bill. Shortly before noon, Senate Majority Leader Harry Reid (D-NV) filled the amendment tree on H.R. 3204 (cutting off any amendments) and filed cloture on the bill (to cut off debate). Reid also filed cloture on the motion to proceed to S. 1197, the Defense Authorization bill. Reid then moved to file cloture on a third left-wing nominee to the DC Circuit Court of appeals, Robert Wilkins. Senate Democrats are trying to push three nominees onto the Court in an explicit attempt to “switch the majority” so it can rubberstamp the president’s executive branch excesses. Senate Republicans have blocked the last two nominees, Patricia Millett and Cornelia Pillard. The Senate revision to HB 3080. the Water Resources Reform Act. The House is expected to object to the Senate's revisions and to vote to go to conference with the Senate on this bill. H.R. 2655 — "To amend Rule 11 of the Federal Rules of Civil Procedure to improve attorney accountability, and for other purposes." Yesterday the Senate passed H.R. 982 (221-199) — "To amend title 11 of the United States Code to require the public disclosure by trusts established under section 524(g) of such title, of quarterly reports that contain detailed information regarding the receipt and disposition of claims for injuries based on exposure to asbestos; and for other purposes." Three amendments by democrats seeking to limit access to information on the processing of claims and seeking to remove the required quarterly filing by the trusts handling of the claims were defeated. Indeed, it really appears that the president’s action today was motivated more by accounts of “simmering Democratic discontent” and “a brewing revolt among Democrats,” as one Democrat House member put it. Tags: democrats, President Obama, Obama tap dances, Obamacare, Mitch McConnell, John Boehner, editorial cartoon, AF Branco To share or post to your site, click on "Post Link". Please mention / link to the ARRA News Service. Thanks!